Your one-stop page for styling inspiration, how to find the best location, best times to shoot, and everything in between! You have one job: Decide what kind of session you want! Are you a mountaintop kind of couple, or a cityscape chic couple? Do you want to get cozy on the couch with beer or coffee and giggle the morning away? Are you more interested in a windswept, sunset field? It's entirely up to you! What can you expect from your engagement session? A ton of fun, a total adventure, and a great opportunity to fall more in love with your honey! Calling all nature lovers! Think about your favorite place to hike, picnic, frolic, or general "you" space. Let's spend an afternoon adventuring in your favorite field or mountaintop, in your favorite worn leather boots or your Sunday best. Let's wander and create images that will fill your soul for a lifetime. The hustle and bustle of the city around you feels like home. Let's celebrate your favorite city with photos that capture the most unique features of you and your honey between skyscrapers! Think about your favorite brewery, coffee shop, or those quiet nooks on cobblestoned streets. Dress up and pop champagne on a rooftop at sunset or finish the evening at a dockside bar! Let's be honest here-- no one knows exactly how to look or be during their engagement session. That's okay!!! That is what we are here for. For outfit inspiration, think about your aesthetic as a couple. Most comfortable in jeans and a t shirts on the couch? Great, in-home session is where it's at! Feeling like you wanna be epic with a red skirt blowing on a mountaintop at sunset? We've got Amazon links to dresses that we've tried and have made for some incredible photos. We tend to suggest that you think about the little details for your session. Get your nails done, or have them clean of chipped nail polish. Consider getting professional makeup done or go in for a makeup trial, so that any little skin imperfections aren't on your mind while we're giggling in a coffeeshop. Wear the lace top that everyone tells you that you look amazing in, even if it's just for a few photos. The little things matter, so tops with embellished details, jeans without holes, and outfits that you can conquer the world in are key for photos that feel like you. For guys, think about a business casual look, especially for city sunset photos. 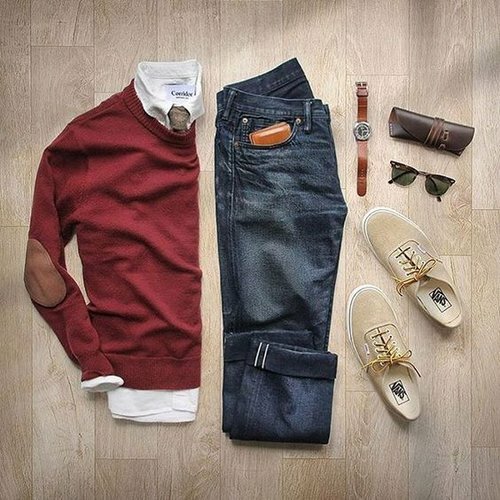 Nice jeans, a button up, maybe a blazer, a watch. Match your belt to your shoes and your watch-- black goes with black, brown goes with brown! For hiking, wear those nice jeans, a flannel, and your favorite boots. Vest kind of guy? WEAR IT ALL DAY. For most guys, we can say this: google Justin Timberlake or Zac Efron street outfits, and wear something like that. Get a haircut a few days before, and have a beer before your session so you're ready to loosen up and be yourself in front of the camera. Come prepared to answer some VERY SILLY questions about your wife-to-be, be prepared to laugh a lot! If we can give you any advice for your engagement session it would be this: You be you. We'll capture that, and so much more, so that your photos are your favorite thing-- other than your love.